John H. McCunn was born in Londonderry County, Ireland, in 1825. A self-made man, he arrived in New York in 1841 at the age of 16, on board the ship Ironsides. Failing to find work in New York, McCunn moved to Philadelphia and commenced an apprenticeship, but soon returned to New York, determined to become a lawyer. McCunn approached a fellow Irishman, the attorney Charles O'Conor, who at that time was a member of the firm of Boardman & Benedict. O'Conor arranged for McCunn to become a messenger in that law office, and afterward took an interest in the young man’s advancement. McCunn appears to have acquired a knowledge of law sufficient for admission to practice by the age of 21 and he formed a partnership with James Moncrief, specializing in commercial and real estate transactions. In 1855, he built a handsome Anglo-Italianate house at No. 411 West 22nd Street. When his partner, Moncrief, was elected to the bench, McCunn set up a new law firm -- McCunn, Swartout & Fine -- and became involved with Tammany Hall. He was nominated for the office of City Judge and elected in 1860. Three years later, he left the bench to join the Sixty-Ninth Regiment as a Captain of Engineers. Subsequently, he recruited the Thirty-Seventh Regiment New-York Volunteers and was commissioned as Colonel of that regiment. He behaved with gallantry at Malvern Hills and was brevetted a Brigadier-General. When he spoke disparagingly about his commanding officer, he was ordered to be court-martialed. He resigned from the Army to avoid these proceedings. Returning to New York, McCunn was nominated by Tammany Hall in 1863 for the office of Judge of the Superior Court. He won the election and was re-elected in 1870. Later that year, on July 2, 1870, Judges George G. Barnard, Albert Cardozo and John McCunn were the subject of impeachment proceedings in the New York Legislature based on their association with Tammany Hall. 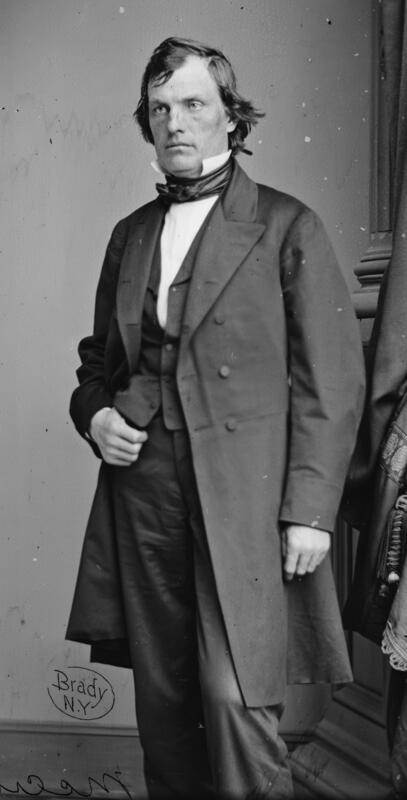 “On returning home from the State Capital on Wednesday night much fatigued by the heat and his journey, being also exceedingly excited mentally over the action of the Senate in finding him guilty of malconduct and malfeasance in office, and voting for his removal from the Bench, he expressed the opinion to his family ‘that he would not live through the trial he was being subjected to, and thought that he had been cruelly treated.’” He died on July 6, 1872. Hon. L. Bradford Prince, chairman of the Committee. Charges of the Bar Association of New York against George G. Barnard and Albert Cardozo and John H. McCunn, and testimony thereunder taken before the Judiciary Committee of the Assembly of the State of New York, 1872. New York Times. Obituary, Judge John H. McCunn, July 7, 1872, p. 1.